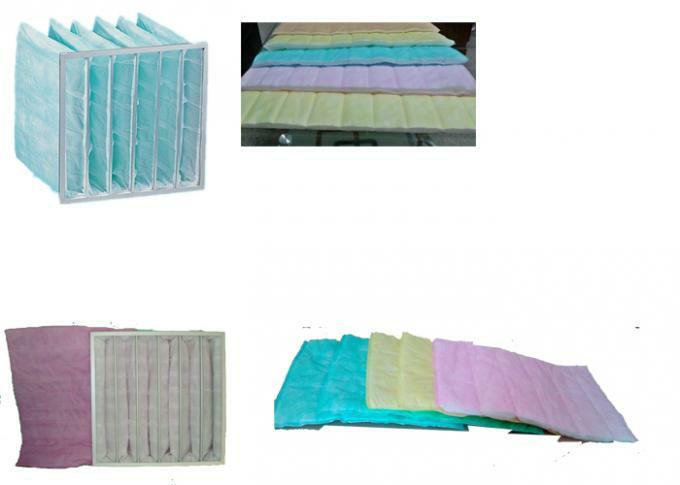 Bag filters are designed for use in most commercial or industrial HVAC systems where medium to high efficiency filtration is required. bags are available in a variety of standard and odd sizes in four different efficiencies: 45-50%, 60-65%, 80-85%, and 90-95% with a MERV rating of 10 to 14. Each filter pocket is attached to a 26 gauge galvanized steel frame that is in turn inserted and locked into a 24 gauge galvanized steel double turned header. This rugged assembly prevents warping and provides an open filtering area of not less than 90%. Each pocket is designed to allow full inflation while maintaining adequate air exit space between adjacent pockets. Each pocket is divided into channels by “span-link” stitching which gives the pocket its unique configuration. 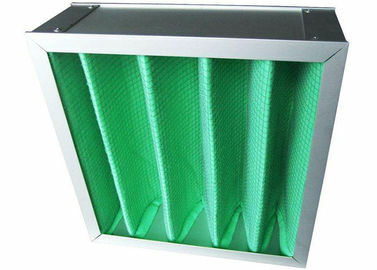 The bag filter is available in either synthetic (recommended) or micro-glass media.